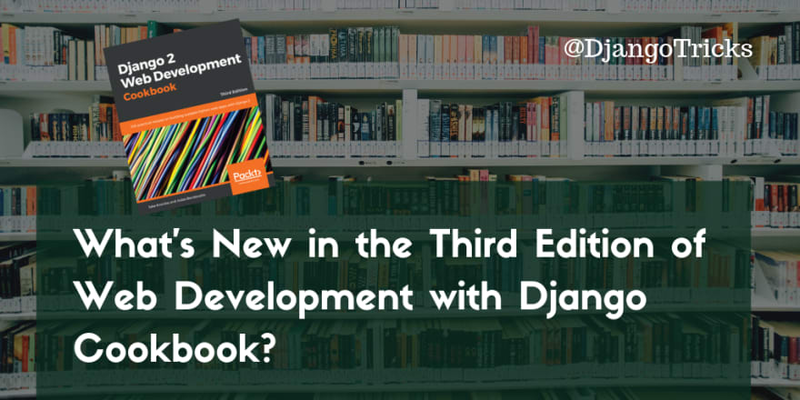 A couple of months ago the third release of Django Cookbook was published under the title Django 2 Web Development Cookbook - Third Edition. This edition was thoroughly and progressively re-written by Jake Kronika, the guy who had reviewed my second edition and had added a lot of value to it. I was sure that he wouldn't disappoint the readers, so I invited him to write the update. In this article, I will guide you through the main new highlights of over 500 pages of this new book. Docker is one of the most popular deployment technologies and Jake gives a good compact introduction how to use it with Django. 12-factor app guidelines suggest saving app configuration in environment variables. In the book, there is a practical example of how to use it. I introduced multilingual fields in previous editions of the book, but there they had a limitation, that region-specific languages like Australian English or Swiss German were not supported. Now they are! Schema.org Microdata allows you to define the context of the content more specifically so that the content is more machine-readable. This was new to me and I still don't know the exact practical value of it, but I guess it is related to accessibility, new ways of presenting data via plugins, and Artificial Intelligence. Since Django 1.11 form fields are rendered using templates instead of Python code and those templates can be customized. There is a recipe that shows you how to do that. HTML5 has the <picture> tag with <source> children that can be used in combination with the sorl-thumbnail Python package to generate different versions of the image based on your viewport size: load small image on the mobile, middle image on the tablet, and big image on the desktop or smart TV. In my previous editions, I only showed how to upload a file by Ajax and attach it to a Django model. In Jake's update, it is shown how you can also delete the image. Since Django 1.11 you can define special requirements for the passwords of your users, for example, have a mix of small and big letters or include at least 1 number and 3 special characters, etc. There is a practical recipe how to do that. When it comes to branding or copyright protection, it is common to add special watermarks, semitransparent images on top of your normal pictures. Jake added an example, how to do that and it was very interesting to me. 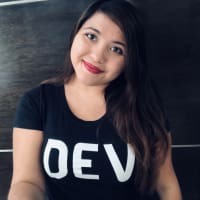 In one recipe it is shown how to login to a Django website using Auth0, which seems to be a passwordless authentication system with integrations of popular connection services like OpenID Connect, Facebook, Google, Github, LinkedIn, PayPal, Yahoo!, and others. I haven't tried that myself yet, but it can be an interesting option for a social website. It is common to cache websites using Memcached service, but a good alternative is caching with Redis and django-redis. Moreover, you can easily save user sessions there. In the previous editions, I introduced django-mptt for creating hierarchical structures. However, recently many projects are moving towards its alternative - django-treebeard which has more stability and writing speed. In the book, Jake shows you how to work with it. There was a lot of new things to learn. For example, for me personally Docker usage was new, and I haven't heard of schema.org microdata and Auth0 which were introduced in this book. All in all, I think, Jake Kronika did an enormous job with this update and it's really worth purchasing this book, especially as there is a winter-holidays sale where you can get the EPUB, MOBI, and PDF with the code examples just for ~ 5 €. Have a nice Christmas time and come back to this blog next year! Netsolution"netsolutions.com/django-development" : Hire Top Django Web Development Company To Build Scalable & Robust Python Web Applications, Platforms & Back-end Systems With Expert Django Developers.